(Closed) The Millennium Arts Center (MAC) was an arts center that brought visual and performing artists together under one roof. MAC offered venues for local and international artists and made Washington, D.C. the home of the country’s first national/international arts center of its kind. We want to thank Peter Hapstak & CORE Architectural group for their support. The Millennium Arts Center was created by a group of people who believed that Washington, DC needed a permanent art center with reasonable rent for artists and non-profits. It was eventually destroyed by The Corcoran Gallery of Art Director, David Levy, & Board. The Corcoran Gallery of Art came to the The Millennium Arts Center as a partner and then turned around and did a take over. The Corcoran Gallery of Art went bankrupt because of David Levy and The Corcoran was forced to sell Millennium Arts Center property to the Rubell family. 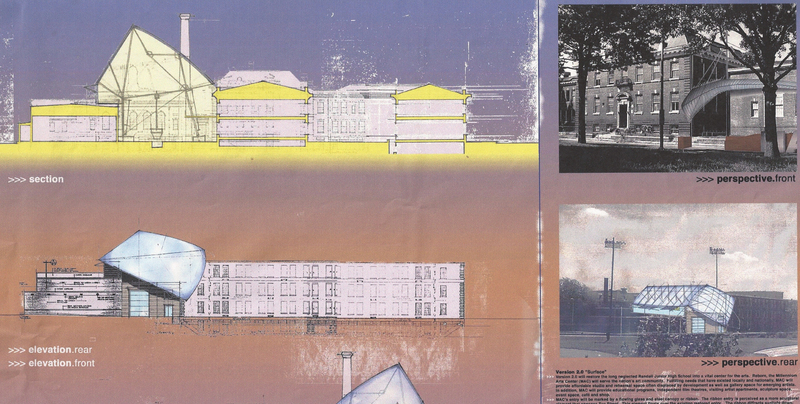 As understood the property will be turned into a hotel and museum for their art collection. 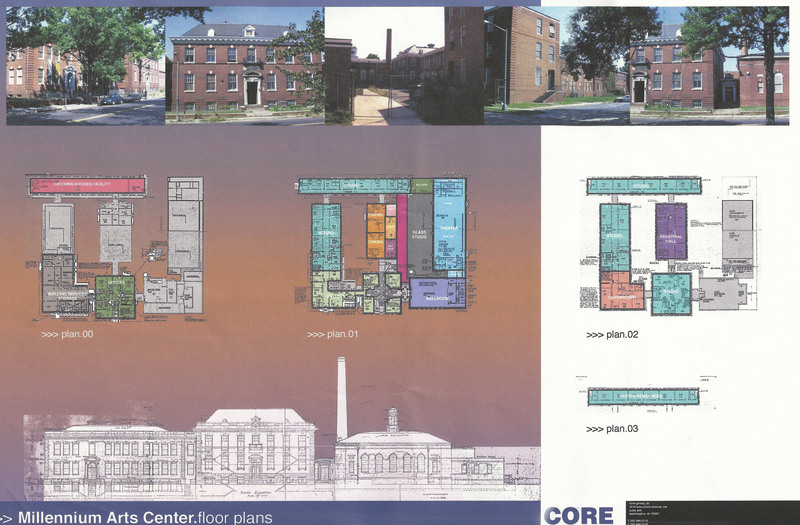 The Corcoran is also trying to sell their school property in Georgetown. 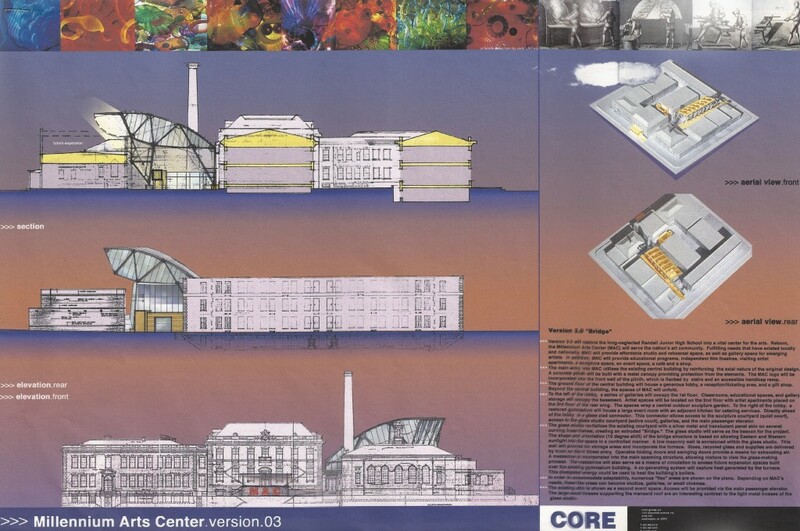 Washington, DC lost one of their only chances of having an incredible art complex, very much like PS1 in Brooklyn, NY, but The Millennium Arts Center had a notably better location. MAC was able to provide an arts center that could give affordable studios and exhibit space for those artists who might not have had the opportunity otherwise to reach a larger audience. In turn, it gave residents and visitors to the nation’s capital an opportunity to see art that was being created all over the United States and internationally. With many thanks to Georgi Deneau, Former Assistant Director. Without her the art center would never have been a reality. Currently, we are looking for new projects.